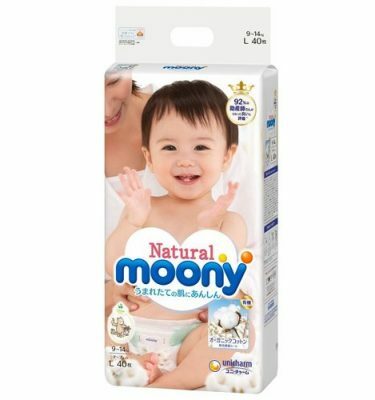 Moony’s unique dual channel absorbent core instantly draws in and locks away pee, leaving the nappy surface drier for longer usage! * Fits 360 degree snugly in all positions! The airy soft gathers fit snugly and stretch gently around your baby’s waist. 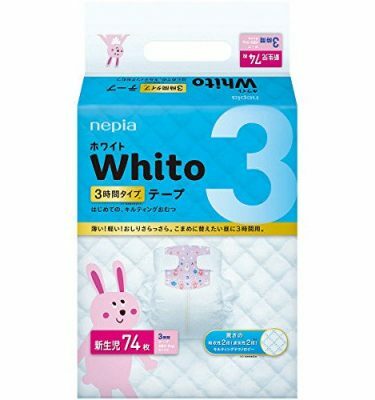 Made with breathable soft material, it ensures dryness around the waist area, where your baby tends to perspire easily. 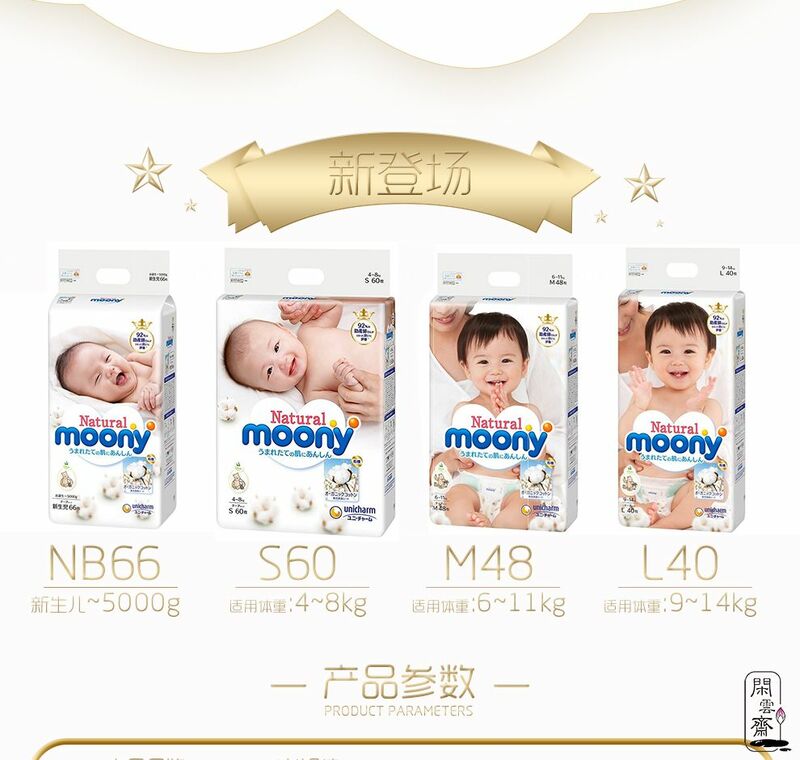 Let your active baby play in utmost comfort! The raised gathers fit snugly around the thighs to prevent leakage. When the strips change colour to dark green, it is time to change the nappy. 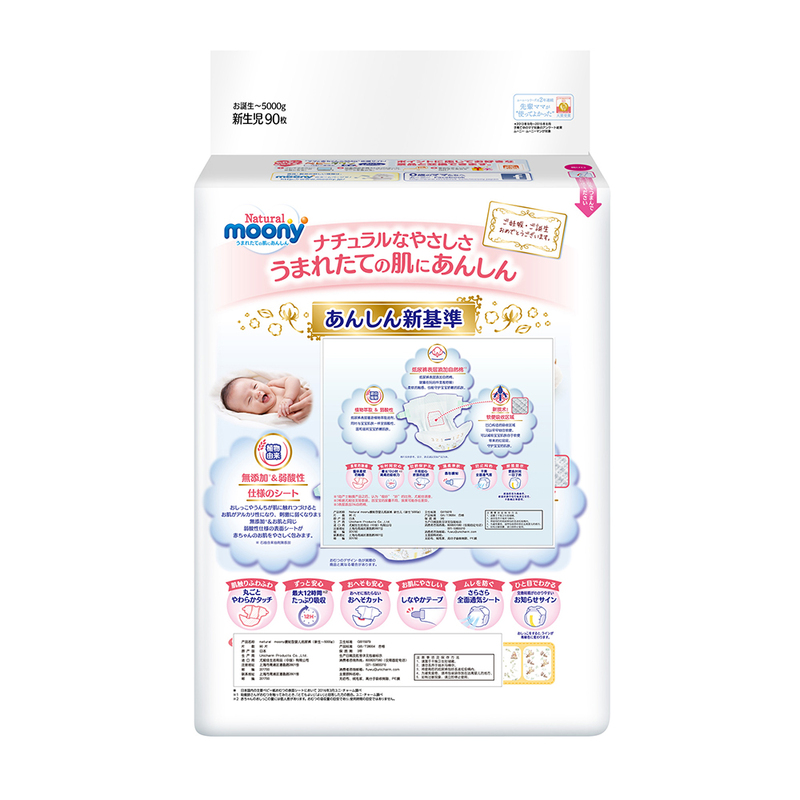 *(Please note that the colour may change from shades of yellow to green on the strips of unused diapers under hot and humid conditions. However, this does not affect the quality of the diaper). 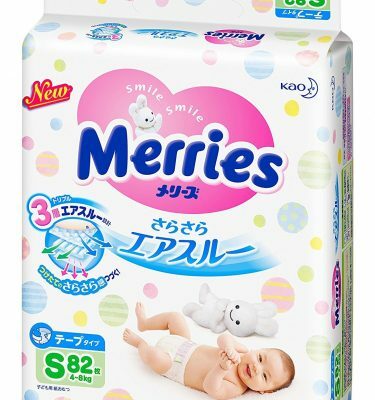 The real packaging may be different from the image. 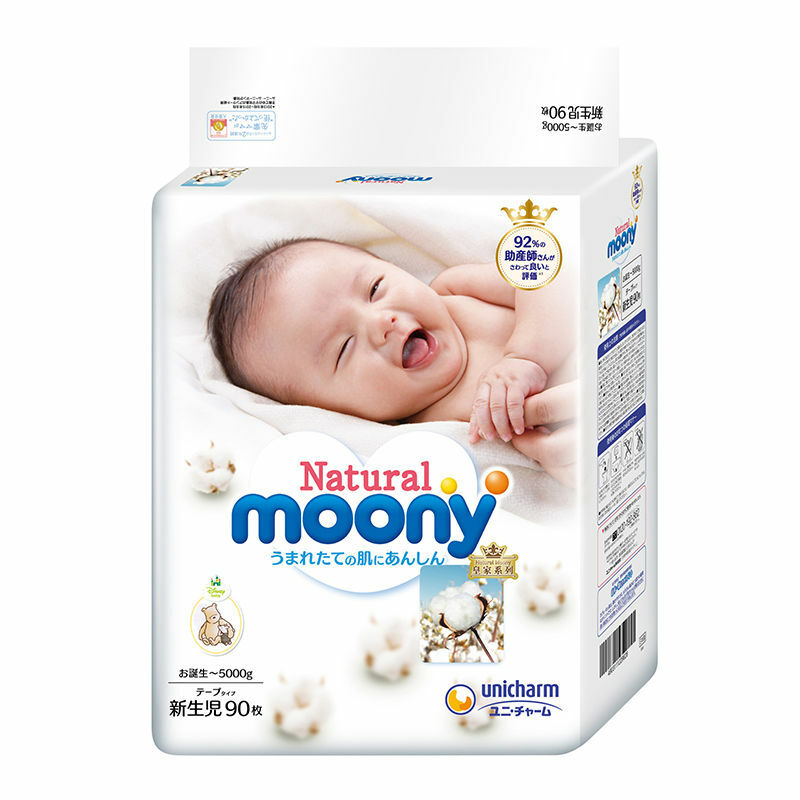 Launched in October 2016, “Natural Moony” is Japan’s first baby nappy brand containing organic cotton in the surface sheets of its nappies. 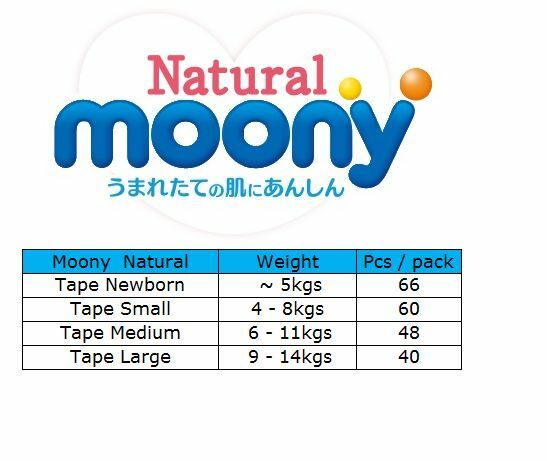 By adding organic cotton, Natural Moony nappies are designed and made softer than Regular Moony nappies. Moony Natural nappies surface sheets are also additive free after Unicharm switched nappy hydrophilic agent to plant based one. 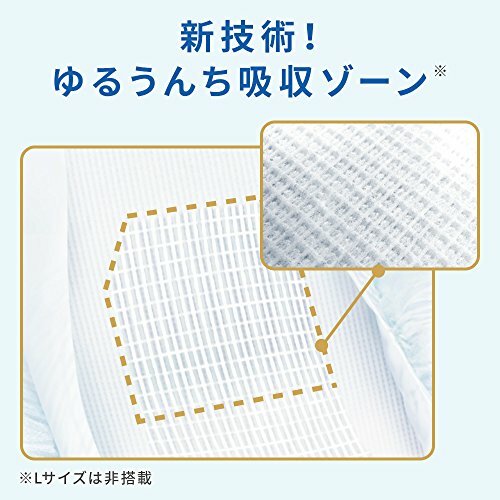 “Yuru–unchi” is a newly developed technology of using an uneven structure to absorb soft stool, Natural Moony has reduced the amount of soft stool remaining on babies’ buttocks — a phenomenon unique to babies less than 4 months old — by 36%. 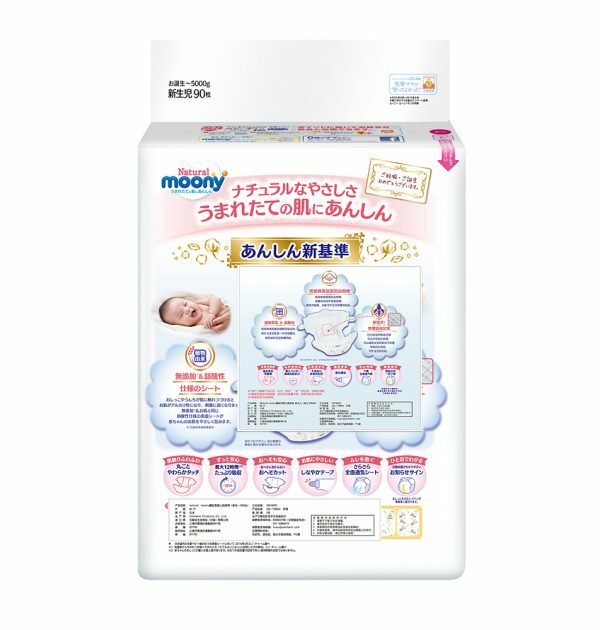 This has eliminated one of the elements that has caused nappy rash to babies’ skin.